Every summer, during Yankee Homecoming, writer Hannah Selinger goes home to Newburyport, MA. I grew up in a seaside town in Northern Massachusetts, the birthplace of the United States Coast Guard (1791), Liberator founder William Lloyd Garrison (1805), and the first British Tea Party rebellion (date unknown). Newburyport, Massachusetts. The Superior Court is the oldest in the state and the city of 17,000 has been home to many a storied character—John Quincy Adams and Montel Williams were two legendary denizens. In the 1960s and 70s, the town, once grand, fell on bad luck. Decimated brick buildings marked the downtown area. Until 1998, Newburyport had no train connecting the town to Boston, a mere 48 miles to the south. By the time I moved up north, in January of 1989, Newburyport was not-quite-yet-bustling and had certainly revived its reputation as a postcard-perfect New England enclave. 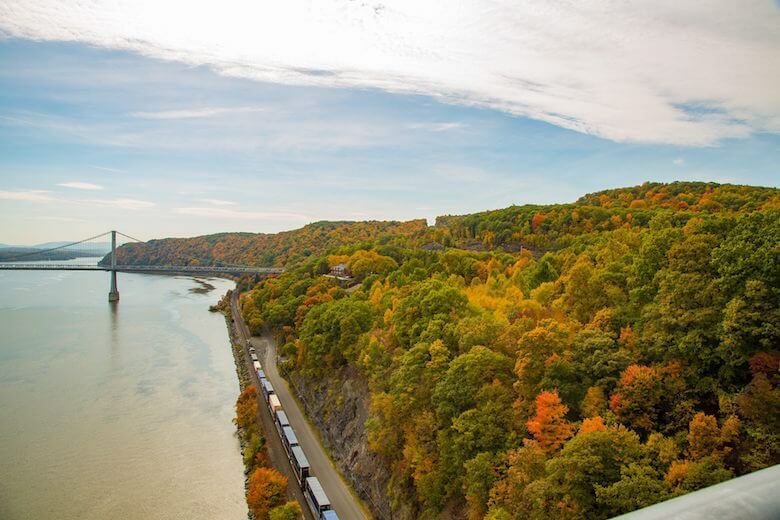 The town now finds itself battling the juggernaut of progress; a blue-collar town’s prosperity also means surging real estate prices, bourgeois boutiques, innovative-yet-expensive restaurants. 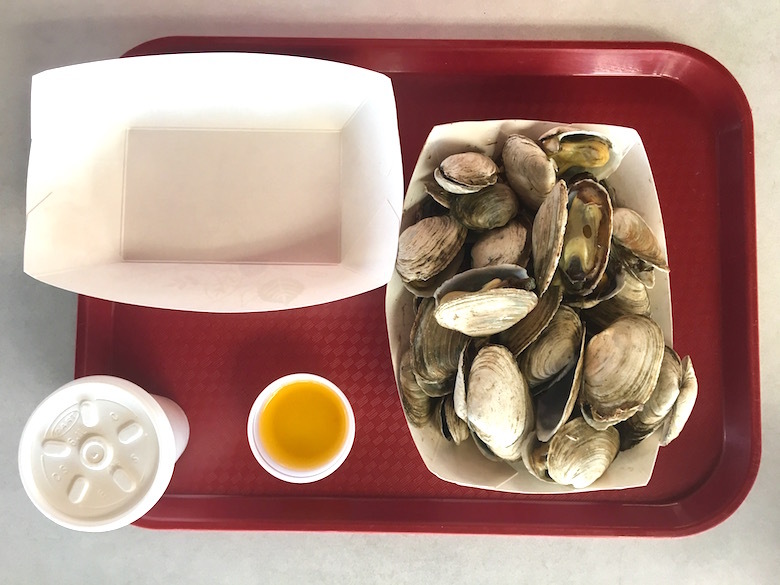 It’s the blue-collar agitation—the yellow-lit, smoke-filled bars that serve superlative fried clams—that I miss. 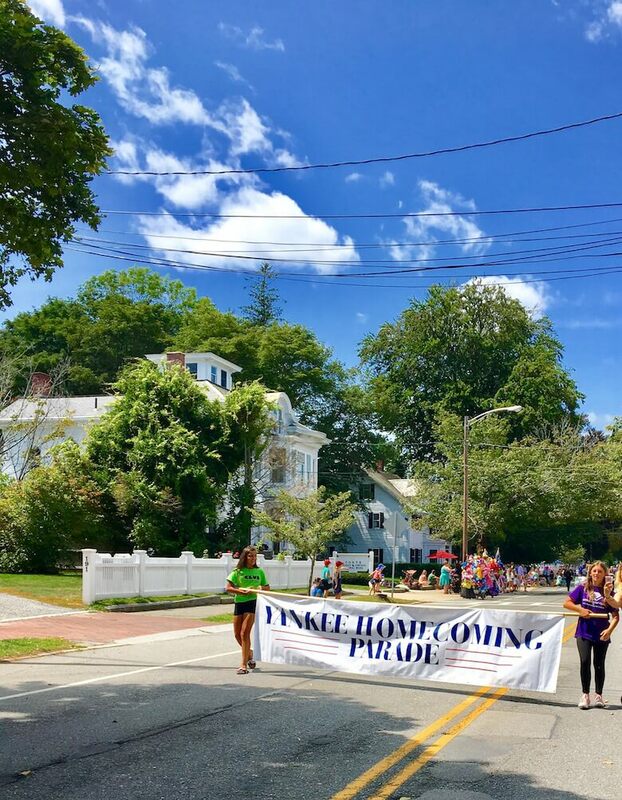 Every summer, during Yankee Homecoming (a seven-day festival during the final week of July that has, since 1957, celebrated natives returning to their hometown) I go home. Selinger rented a two-bedroom beach cottage on Plum Island. 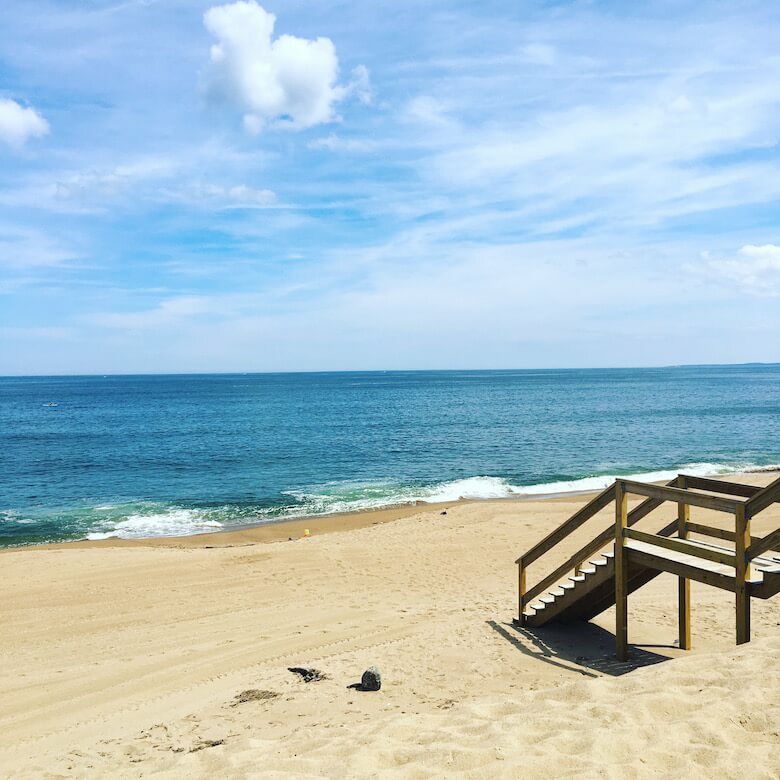 This summer, my first as a mother, I rent a two-bedroom beach cottage on Plum Island, a beach community split between Newburyport and the neighboring towns of Newbury, Rowley, and Ipswich, and accessible to town by a causeway and drawbridge. 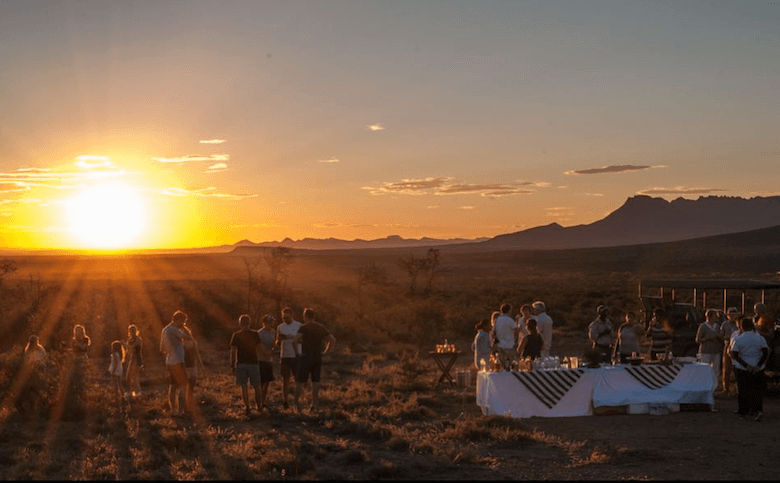 On one side of the Island, the “basin,” as natives term it, consists of snaking green grasses over marshland, where the Parker River winds and eventually connects to the Atlantic. The sunsets here, biting midgies notwithstanding, are some of the greatest I’ve seen. The ocean side features coarse yellow sand and picturesque cliffs that are, sadly, eroding. Seven miles of the Island are part of a reserve, and beaches can be closed on any occasion due to the nesting patterns of the endangered Piping Plover. The beach plums, for which the island is named, form scraggly green barriers between the dunes and the road. A vacation in one’s hometown is the fantasy never lived in childhood. The Island is remote, and there is something foreign and serene about being off the mainland, though I keep finding excuses to go into town. My son and I join 1,000 runners on a hot, humid Tuesday evening for the Yankee Homecoming 5K race, sponsored by the Lion’s Club. The Lion’s Club, too, sponsors the annual bed race, an event in which local businesses construct floats out of bed frames and race them down the hill on historic Federal Street; prizes are awarded for the fastest recorded time, of course, as well as for best theme (this year: Harry Potter). But let’s be honest: I come home to eat. What nostalgia is riper than the memories of what we ate in childhood? Nestled comfortably in town, The Grog is a 30-plus-year institution, owned by Nicole and Bill Nichelmann, the daughter and son-in-law of the restaurant’s original, late owner, Richard Simkins. The dark tavern is adorned with wooden beams, low ceilings, and a fireplace, and even though it is summer, and even though there are restaurants that jut out into the Merrimac River with spectacular views, I sit in the cool, dark bar room and order the French onion soup, which arrives smoking from the salamander, and served in a traditional crock ($4.95). But let’s be honest: We all go home to eat. 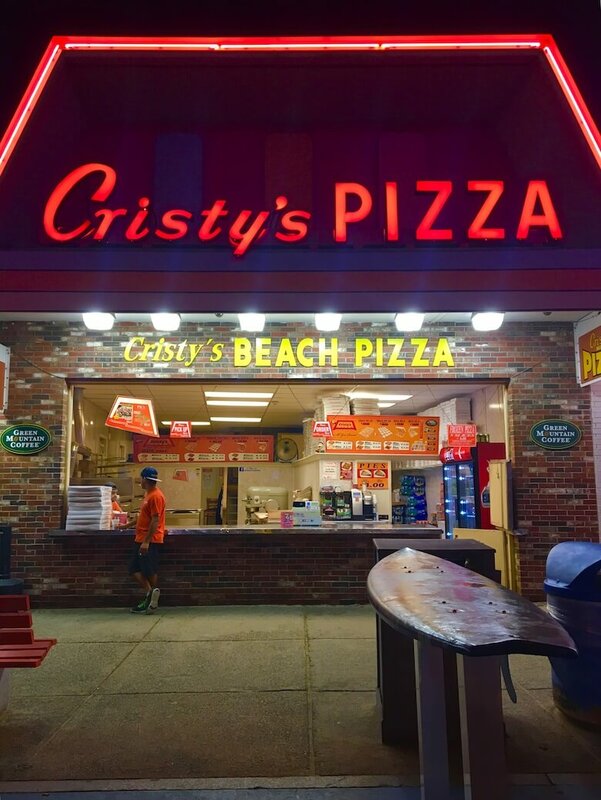 Ask a North Shore-er his or her preference when it comes to pizza and you’re likely to receive a lecture on Christy’s vs. Tripoli, the two competing Beach Pizza vendors on nearby Salisbury Beach. Salisbury straddles the New Hampshire border and is a boardwalk town, with Skee-ball and arcades, live music, carnival lights, 30 flavors of soft serve. Pizza, sold through a walk-up window, is made on sheet trays, yielding a cracker-thin crust. The debate between Christy’s and Tripoli comes down to sauce, the latter of which is far sweeter and less herb-heavy. Traditional practice dictates the addition of one single, melty slice of provolone. Pizza is $2 a slice (with a surcharge for extra-cheese), one of the last true bargains in 2017’s America. I eat my pizza on a street corner from paper plates one languid afternoon, before driving down to the Seabrook side of the beach, across into New Hampshire, where my son naps on a blanket in the late-day sun. The dune grasses sway with the early August wind. The ocean is delicious, deep cerulean like it only ever is up here. 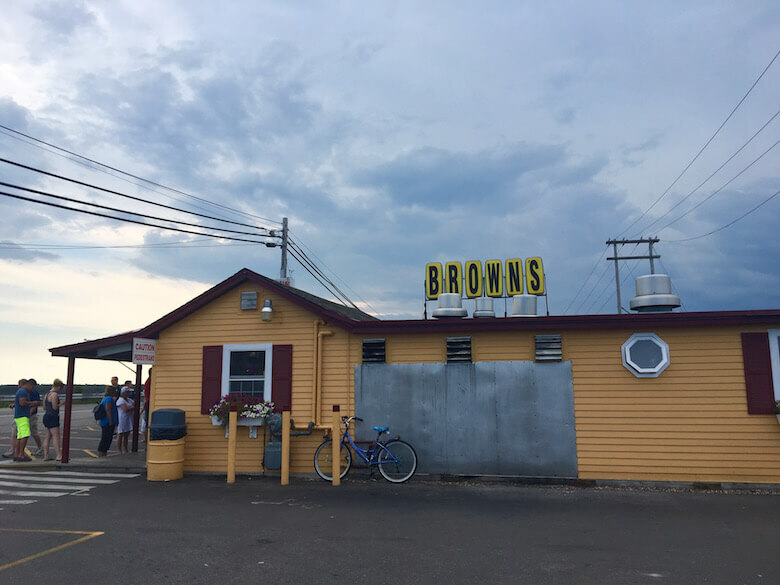 Once the clouds move in, we switch venues, up the road not even a mile to Brown’s Lobster Pound, where picnic benches look out onto more low-lying marshland and where the sun dips right into the water at day’s end. Brown’s is New England in restaurant form: steamers and whole lobster on plastic trays with drawn butter; chowder in Dixie cups; an intercom calling numbers, offered to patrons on wood carved in the shape of a lobster. Chickens (lobsters under 1 ¼ lbs.) are under $10 a pound, and that’s considered expensive for the area. These are soft shell lobsters, best eaten with one’s hands. Pizza is $2 a slice (with a surcharge for extra-cheese), one of the last true bargains in 2017’s America. Most mornings—the swish of ocean audible from my cottage bedroom—feel like a dream. Don’t end, I think. Don’t make me go home. But aren’t I home already? 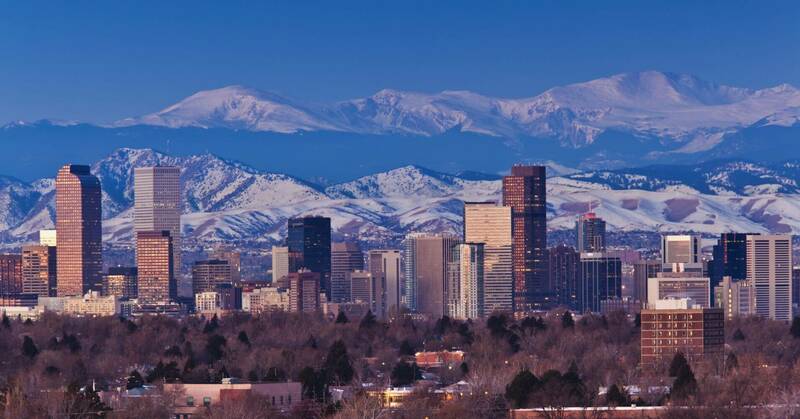 Is home, even on vacation, ever anything but? On my final day, in homage to a weird Newburyport ritual, my mother ties beach chairs to trees on High Street, the town’s main thoroughfare, so that we can watch the parade. This marks the end of Yankee Homecoming and, accordingly, my trip. When I was little, Teddy Kennedy used to march in the parade, shaking hands with his constituents. Today, it’s mostly antique cars and fire engines, igniting peals of laughter in my 8-month-old. Afterwards, my mother ushers me into her kitchen, where she serves steamed lobsters in oversized bowls. “5.99 a pound right now at Market Basket,” she tells me.